Our articles & letters | Community Alliance S.A. Regarding “Planning Minister John Rau releases map of environment and food protection areas forming boundary around greater Adelaide” (the Advertiser, 2/12/15), better late than never. In opposing any restriction on where large new housing developments can be built, it seems the big players in the development industry want everything their way regardless of the environmental and social consequences. The State Government has already rezoned vast amounts of land on Adelaide’s fringes for residential development, including at Mount Barker, Gawler, Playford and Two Wells. In fact, the planning department admits there is at least a 20 year supply of this land, and recent re-modelling has shown it is likely to be sufficient for 30 years*. An over-supply of rezoned land like this can lead to ad hoc development, with difficulties in facilitating good outcomes and providing the necessary infrastructure. Current growth areas, such as Mount Barker and Gawler, are already struggling to cope. On top of this, the Government has even more land in the pipeline waiting to be rezoned for urban growth. And yet the developers are not happy with Minister Rau’s proposal to draw a line around this and leave some areas out of bounds as ‘environment and food protection areas’. A lot of the damage is already done, and efforts to effectively limit sprawl should be applauded and not eroded by the greed of a few. 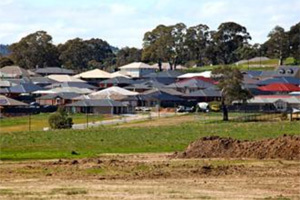 ROBERT Harding, of the Housing Industry Association, is behind the times in calling for more greenfield development in the form of a huge expansion of Roseworthy (“Choice is key in 30-Year Plan”, Sunday Mail, April 13). He repeats the mantra of the now outdated 30-Year Plan in saying this is needed to give a balance between greenfield and infill growth. His assertion of community buy-in for the development fails to mention that the population of Roseworthy is only around 600. Many of these oppose the expansion, as do many residents of nearby Gawler and the community at large, who have not had the opportunity to comment on the proposal. The reality is that Greater Adelaide already has a surplus of greenfield land, with enough in the pipeline for the next 25 years or so. Lower population growth rates, market demand and other factors have lowered the need for greenfield land that was perceived when the 30-Year Plan was written. Thankfully, the State Government is effectively rewriting the 30-Year Plan with its recent policy aimed at curbing further sprawl. Now is not the time for more greenfield rezoning. Now is the time for dialogue on better and smarter infill and urban renewal. InDaily article by our Secretary Dr Helen Wilmore on the rezoning of Adelaide’s inner city areas linked to the Integrated Transport and Land Use Plan (published November 4th 2013). AS both Professor Gleeson and Dr Nelson emphasise (Sprawl: Is it a dirty word?, Indaily design, May 13, 2013), achieving greater sustainability in our cities has been made very difficult because of a long legacy of poor planning, relative declines in public infrastructure funding (not just transportation), and the increasing privatisation of urban development and regeneration. This has been led by a strictly commercial view of what place-making and service provision should mean. This legacy is reflected in both our expensive inner suburbs and our more disadvantaged outer suburbs. As we might expect, a long-term failure of planning and responsible funding has been accompanied by a collapse of leadership in government in these areas. As we continue to talk about sustainability in development, we continue to build and sell unsustainable residential housing and commercial developments of various densities. Public infrastructure funding is supposed to follow what are often poorly planned and designed developments, but rarely does. Instead big box retail is encouraged, and all the elements of high-consuming suburban (or inner city) life are set in place, with the benefits mostly going to distant corporate shareholders. This pattern, now the established status quo across much of Australia, as the writers both emphasise, has to change. Leaving planning effectively in the hands of big box and big estate development, whatever the density, with no genuine commitment to sustainability or community engagement, will continue to burden our cities and ensure that we cannot meet even our more modest global emissions targets. Political leadership is required, community engagement is required, more clearly defined partnerships are required, and much clearer limits set on what can be built, and where (and not, as is the case now in SA, fewer and fewer meaningful limits). While in Adelaide there is sufficient land for ‘infill’ development to accommodate our projected growth, we will be paying not only for ‘anomalies’ like Buckland Park and Mount Barker for years to come, but also for many of the other developments approved through the recent and poorly considered amendments to our planning system, often against the known opposition of those most affected by them. Adding to your ‘debate’, I would like to emphasise that not only the environment but also the people have to be put back into planning, and the game, for so long played out behind closed doors between developers and state government officials, has to end. Public-private partnerships need to reflect our social and environmental needs, and not just the developers’ need to turn a quick profit. Your comments (The Outsider, March 22, 2013) on opposition to high rise development in the suburbs and opposition to the bill to amend the interim development powers of the Minister do not do justice to the ‘plain sense’ view of ordinary people subjected to such fiascos as Mount Barker, St Clair at Woodville, Buckland Park, etc. The issue in all these cases is primarily one of ‘due process’ which the government cannot seem to grasp. Most people want development, but not dubious ‘conflicted’ reports, secret deals, land-swaps between valuable open space land and tainted factory land, etc. What they want is ‘common sense’ development and good planning. Instead, they are getting spin, clever lawyers’ solutions, and in almost every deal, no genuine consultation (Bowden excepted). Using emergency powers to circumvent due process to ‘save time and money’ may sound like a good idea to you until you look more closely at whose time and money is being saved. In my view, most of the complaints about lost time and money are questionable and largely self-inflicted, and created in part by the government’s messy attempts to close off local governments’ powers to have any say at all in approving large developments. This has resulted, over the last five years or so, in many large developments getting rejected by local councils (often for knowingly breaching their guidelines on height, bulk, environmental issues, heritage, etc. ), and then the developers having to wait for the State Government committee or Minister to intervene and rapidly approve what may in fact be a not so smart but still ‘non-complying’ project. If the government wants to take away council’s rights to shape development in their areas, it needs to develop better alternative means for the people most affected to put their views on the table. To ignore this as an issue is to say we need development at ‘any’ cost. Development at any cost is, I would like to suggest, is nearly always bad development. At the moment we appear to have the worst of both worlds, with the council not being able to do its job, and the State Government using loopholes in the present system to ram through developments that nobody in their right mind should have ever approved. Outsourcing this critical policy development stuff to Connor Holmes (whatever their merits as planners and experts are), in the certain knowledge that they are also working as lobbyists for those that are to benefit directly from what is to be decided, is a symptom of a conflicted and failing approach to development and planning. We all need development, but we need development we will value in 10 years’ time, not that we will regret tomorrow.